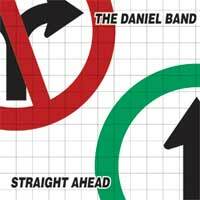 Emerging from Toronto Canada, Daniel Band were one of the pioneers of hard ‘n heavy Christian music, along with Resurrection Band, Barnabas, and to a lesser degree Petra. "On Rock" was originally recorded as an independent release by the band with Rez’s Glenn Kaiser and Roger Heiss co-producing. The album was picked up for distribution through Lamb & Lion Records and the record made some waves in Christian circles. While the album was released in 1982, the music is squarely based in the 1970’s hard rock sound. Daniel Band had a sound not unlike fellow Canadian’s Triumph. For the most part "On Rock" has a raw, rock and roll production that actually adds to the overall appeal of this album. Unfortunately in the early 80’s many hard rock and metal band’s albums suffered from squeaky clean productions that stripped the rock and roll right out of the band. That is not the case here. However, despite the crunchy guitars and raw edge, the mix is also not muddy like many 70’s releases. The stars of the show here are guitarist Tony Rossi and vocalist/bassist Dan McCabe. McCabe has a clean, high singing voice that would match fellow Canadians Triumph, Rush and April Wine. Rossi offers a lot of fiery guitar work. His style is rooted in the 70’s; bluesy, straight forward hard rock with slick guitar solos. The band is backed by rhythm guitarist Bill Findlay and drummer Peter Cosman. Together Daniel Band create a solid hard rock platter. Of course, Daniel Band’s focus was on their lyrics, which are straight up Christian based. Much of the lyrics are directed towards Christians and proper living. "Undercover Christian", for instance, is a song encouraging Christians not to hide their faith from the world. "Two Roads" warns about being a casual Christian. "Spiritual Game” also encourages Christians to live a life that is above board and blameless. "He’s The Creator" tackles the creation vs. evolution theory. Then there are the more evangelistic songs that preach a crucified and risen Christ to a dying world such as "I Like to Rock" and "You Don’t Need the Blues" and "Somebody Loves You". Unfortunately "On Rock" has been out of print for many years. The first official CD pressing was in 2001 on Magdalene Records, which featured new artwork and a bonus CD featuring a one hour interview with McCabe, Rossi and Findlay. The 2010 pressing on Retroactive Records restores the original artwork and adds two new bonus tracks that were recorded in 2009. The two new tracks stay stylistically very close to the album tracks. Of course, the more modern production is most evident. However, considering most bonus tracks are usually crappy demo tracks, it’s nice to have some bonus tracks that actually sound as good as, if not better than, the actual album. Rossi shows he still has chops on these new tracks as well. His guitar solo on the melodic "It All Turns to Rain" is far more accomplished than anything on the "On Rock" album. The album finishes off with a wonderful, emotional, acoustic worship track titled "I Give You All". 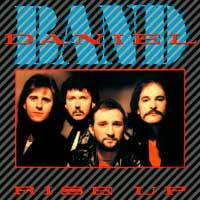 Daniel Band were one of the early bands to combine heavy rock and roll with Christian lyrics and evangelism. Unfortunately they were largely ignored outside the small Christian scene. "Straight Ahead" was the band's second release and originally came out in 1983. The music is pretty typical of early 80's hard rock mixing classic rock riffs, melodic passages, blues and some 1970's heavy metal influences. "Straight Ahead" was a slightly heavier effort than their 1982 debut, "On Rock". My Christian friends would often point to Daniel Band as a good alternative to some of the darker heavy metal that was dominating the scene in the early 80's. However, this album is a far cry from the heavy metal that was coming out in the early 80's. 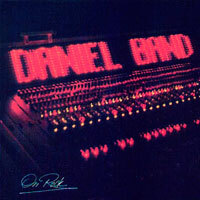 Daniel Band have more in common with melodic, commercial hard rock bands like Foreigner, April Wine and early REO Speedwagon than they did with some of the pioneers of the early 80's heavy metal movement. However, over time as my tastes expanded beyond heavy metal, I began to enjoy this album more and more. The songs themselves are diverse enough to give each song it's own personality and keep the songs from running together. There are the upbeat, hard rockers (“Power Of Love” & “Reality”) a semi-ballad (“Here I Am”) and an acoustic based ballad (“In My Mind”). "You're All I Need" has a slight Southern rock vibe about it, particularly in the lead break portion of the song. The production on this album tames the music a bit. I could imagine with the right producer, these songs would have been much heavier than they sound here. This is partially due to those 80's keyboards that are peppered throughout the CD. "Here I Am" for example rocks pretty hard but is made a bit 'happier' and more commercial, thanks in part to the keys. Guitarist Tony Rossi is one of the unsung guitar heros of the 80's. His leads were not overly complex, but were tasteful and worked well within the context of the songs. He also offered his raspy vocal talents to hree of the albums tracks. Bassist Dan McCabe is the main vocalist behind the band and defines their sound with his high, clean, tenor vox. "Straight Ahead" is a good, melodic, 80's hard rock album with uplifting, Christian based lyrics. "Straight Ahead" was re-released on CD by Retroactive Records in 2006 with 2 bonus, demo tracks. The 4-page insert includes lyrics, all the original liner notes, a discography and a short biography. "Run From the Darkness" is one of those classic albums that was never heard outside the small Christian market. Their sound took a lot of inspiration from the hard rock and heavy metal bands on the 1970's. Simple songwriting, catchy choruses, edgy guitars, and lyrics that were aimed at uplifting other believers, as well as offering hope to those outside the church walls. While many will argue in hindsight that their music was a bit too happy to be considered heavy metal, I would argue they were closer to the classic metal sound than what many other Christian bands were doing in the early 80's. Actually, if the keyboards wouldn't have been so prominent in the songwriting, I think that Daniel Band would have had a much tougher sound. Dan McCabe had a high, smooth voice that worked well with Tony Rossi's guitar driven songs. It was the keys that gave the band their poppier sound. It's hard to believe that at one time some people in the church were protesting this music as "devil music." Daniel Band presented such a clear message and the music, while hard rocking', certainly isn't dark or extreme, even for 1984. Fact of the matter is, Daniel Band were only slightly heavier than bands like Petra and Whiteheart, and had more in common with Rez band than Judas Priest or Saint. "Run From the Darkness" has been re-released on CD a few times now. However, the 2006 Retroactive release is remastered and offers two bonus cuts and a video. As well, the insert, while only 4 pages, has the lyrics, a short biography and discography. By 1986, Christian metal was beginning to gain a ton of momentum. Bands like Saint, Messiah Prophet, Stryper, Barren Cross, Bride, etc. were all growing in popularity. As such "Rise Up" seems to have been Daniel Band making a decision to sound heavier, more guitar-driven and more metallic. Songs like "Bethel", "Don't Walk Away" and "Call His Name" are some of the hardest rocking material that Daniel Band had produced to this point. "Rise Up" opens with a larynx destroying scream and an upbeat, crunchy heavy metal riff. Vocalist Dan McCabe adds a whole lot of grit to his vocal performance on this opening track. Likewise, "Don't Walk Away" is a just straight-forward heavy metal. The title track sounds more natural to Daniel Band. This song is a meaty rocker with McCabe singing in a smoother voice and the overall vibe of the song being more melodic than the songs that surround it. "Fight Back" also has that melodic hard rock sound and brings the keyboards to the forefront with the guitars. "Call His Name" brings the dirty guitar sound back to the front and also has McCabe adding in some of the raw grit heard in the opening track. The album features a couple ballads; "Paradise", an typical 80's power-ballad and "My Children", a somber piano ballad. "Right Heart" finishes off the album and is another example of the melodic hard rock that Daniel Band are known for. In 2012 Retroactive Records officially re-issued "Rise Up". The reissue comes packaged in a six panel digi. Besides being digitally remastered, the new version also includes a newly recorded bonus track, "That's Alright", a Darrell Mansfield cover. The sound quality of this new song is quite a bit different than the rest of the album, but is a fantastic inclusion nonetheless. However, the style of the song fits in perfectly with the classic Daniel Band sound; melodic hard rock with a simple hook, faith-filled lyrics and McCabe's signature vocals. 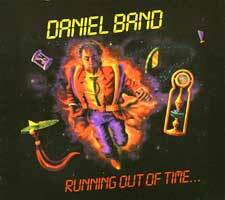 Daniel Band's fifth and final album is titled "Running Out of Time...". The sound here is pretty similar to the band's previous albums "Rise Up" and "Run From the Darkness", combining simple songwriting, catchy choruses, edgy guitars, and Christian faith-based lyrics. It's nearly impossible to describe a hard rock band's sound without comparing them to someone else, since hard rock runs the gamut from pop to melodic to heavy metal. Daniel Band have a sound that would fit well with bands like April Wine and Triumph but occasionally more metallic stuff like Y&T and Riot. Album opener, "Black or White", for example, is a slow, chugging, heavy song that reminds me of classic Riot. Similarly, "Sins of the Heart" is a straight-forward, guitar-driven song. For the most part the band's sound is based around the guitar work of Tony Rossi and the high, smooth vocals of Dan McCabe. There are some exceptions to the rule, such as the keyboard laced "Hold On", an incredibly 80's sounding pop-rock song that falls outside the hard rock model. The standout track is the somber, melodic hard rocker "Long Time". It is the lengthiest song on the album, clocking in at over five minutes. "Running Out of Time..." is a Christian hard rock classic. For years, "Running Out of Time" was nearly impossible to score on CD, outside of poor bootlegs. In 2012 Retroactive Records officially re-issued "Running Out of TIme". The reissue comes wrapped in a six panel digi. Besides being digitally remastered, the new version also includes a bonus track titled "One". The sound quality of this new, more modern recording sticks out like a sore thumb on the record, but is still a nice inclusion. However, the style of the song fits in perfectly with the classic Daniel Band sound; melodic, edgy hard rock with faith-filled lyrics and McCabe's signature vocals and some smokin' guitar licks from Rossi. The band has never officially broken up, although a farewell concert was held in Toronto, Canada in 1988. The band has reformed for the occasional gig over the years, including the 2001 Cornerstone appearance that was recorded and released on CD. The various band members have also been involved with various side projects including McCabe's metallic project Dreamer. When I think of bands that define Christian rock, or Jesus Rock, it's Petra and Rez Band that usually come to mind first. However, Daniel Band rank right up there with those two bands as well. 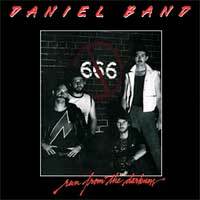 Daniel Band were a pioneering Christian group from Canada whose sound ranged from classic rock 'n' roll to heavy metal. The band had parted ways several years prior to this live recording but reunited to play this one-off show at the famed Cornerstone Festival for M8's 80's Metal Retro Night. For the performance, original members Dan McCabe (vocals, rhythm guitar) and Tony Rossi were reunited. What was captudde on tape that night was a sloppy, raw live rock and roll experience. Yes, the recording and performance is a little rough around the edges, but that is actually part of the charm of this CD. This is really live! There are no overdubs to fix the rubs, no punch ins to fix a cracked vocal. Every snare crack, every chord, every note that was performed that night in Bushell, IL is captured here. It's live rock and roll! The set list is a good spattering of the band's catalog, especially considering this classic band only had less than an hour to perform. My favorite tracks are the opening pair "Bethel/Rise Up", as well as "You Don't Need the Blues" with the guitar improv in the middle of the song. The vocal performance on "Walk on the Water" is a little rough around the edges, but I've always like the song. 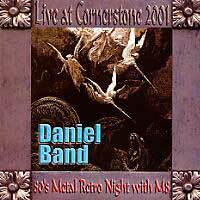 "Live At Cornerstone 2001" is not the CD to introduce this band to a new fan, but for diehard fans of Daniel Band or old school Jesus rock, "Live At Cornerstone" is one of those CDs to crank up loud and enjoy a true live rock and roll performance.